Why do I write a missive? Sometimes I just have an idea or it is a suggestion, though, the individual may not know it, that sets me off. In this case, it was my wife falling in love with an invitation that we received in the mail from the Frick Collection in New York. It was for their exhibition, “Moroni: The Riches of Renaissance Portraiture”. The illustration was a portrait of a young woman who has not been identified but you feel you would recognize, if you met in the street. What is quite incredible is that a work of this quality can still be found in private collections as are other paintings in the show. 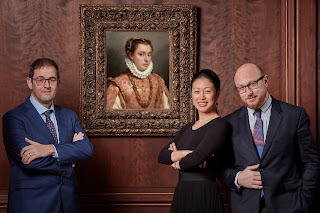 Here is the painting of the young woman accompanied by the curators for the exhibition Arturo Galansino, Director of the Palazzo Strozzi in Florence, Aimee Ng, Associate Curator at the Frick and Simone Facchinetti, Curator at the Museo Adriano Bernareggi in Bergamo. 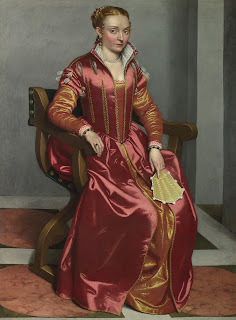 Giovanni Battista Moroni (1520/24 – 1579/80) spent his career in and around his birthplace, Bergamo, Italy, and is known for his portraiture. Most portraitists leave behind a number of self-portraits because they are their easiest subject to practice on. Yet none by Moroni are known to exist. Masters of photography go beyond accurate recording to translate the image that he/she sees in their mind’s eye into an image that everyone can understand. How much more difficult to do that in a commissioned portrait painting. As I have quoted before, Gilbert Stuart, the famed painter of George Washington portraits said, "What a business this of a portrait painter - you bring him a potato and expect he will paint you a peach." Moroni is credited with making realistic likenesses but still he must have had to deal with the vanities of his clients, so I am sure blemishes were forgiven and enhancements were added. For example, in the portrait of Giovanni Gerolamo Grunelli, also known as “Il Cavaliere in Rosa” (sounds better than “The Man in Pink”) from 1560, lent by the Fondazione Museo di Palazzo Moroni in Bergamo, there just happens to be an antiquity on the ground next to the soldier, demonstrating his degree of culture. 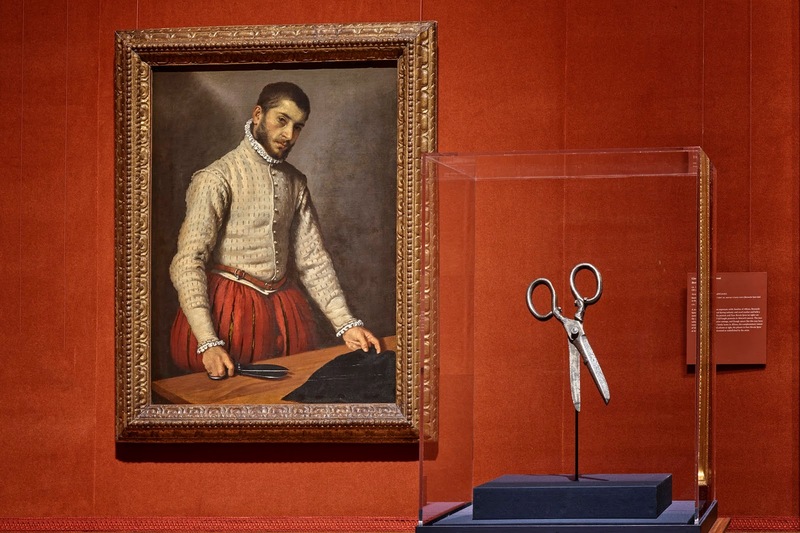 As a matter of fact, the antiquity is possibly a prop from the artist’s studio as it can be found in other Moroni portraits such as that of the sculptor Alessandro Vittoria, circa 1551, lent to the exhibition by the Kunsthistorishes Museum, Vienna. Having worked, as an art dealer in all media, I like it when objects are brought in to reinforce the points being made. Here, the curators of the exhibition found a 2nd century AD sculpture in the Detroit Institute of Arts that is similar if not the same one, as that in Moroni’s paintings. Years ago, I had a 16th century terracotta bust for sale. 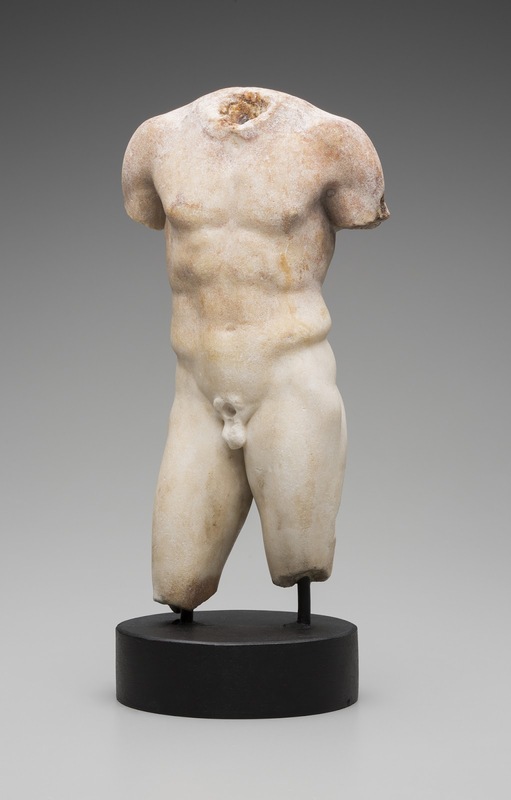 A young art historian in the sculpture department of the National Gallery in Washington D.C. requested it for loan and did extensive research on it. That was Eike Schmidt who has just left the directorship of the Ufizzi in Florence to become director at Vienna’s Kunsthistorisches Museum in Vienna. He dated our terracotta, in part, by calling attention to a painting in the National Gallery in London in similar dress. The painting of “The Tailor” in the current exhibition. 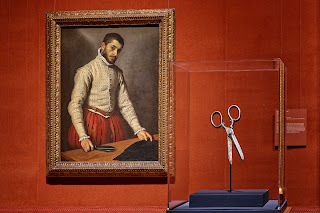 We know the sitter’s profession by the piece of cloth on the table in front of him and the cutting shears in his hand. A similar pair of 16th century shears from the MAK (Museum für angewandte Kunst, ie The Museum of Applied Arts) is included in the exhibition. I have not yet seen the show but the images are so striking that you can interpret the attitudes of the sitters. 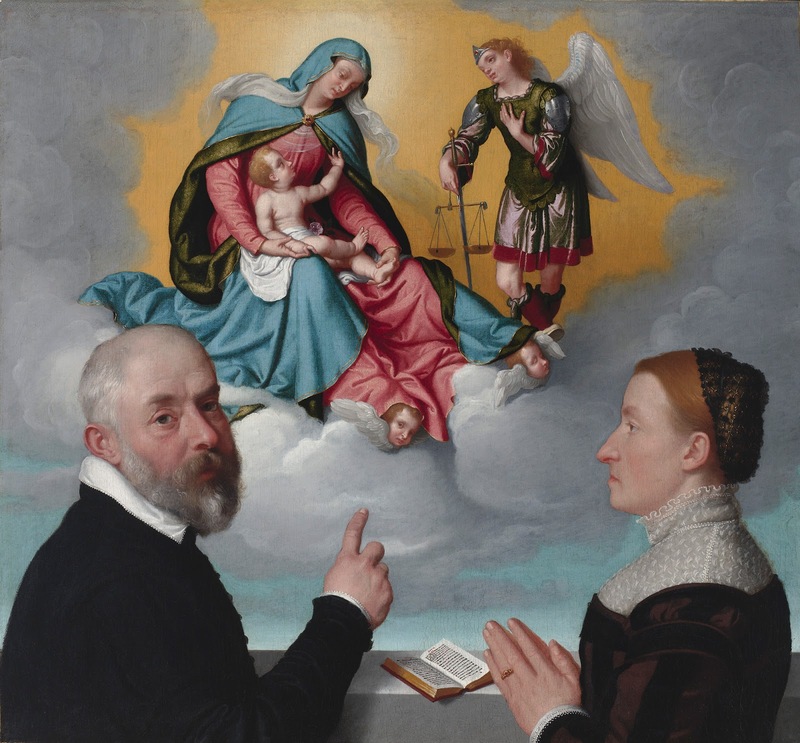 In “Two Donors in Adoration before the Madonna and Child and St. Michael”, 1557-60, from the Virginia Museum of Fine Arts, who do you think is the dominant figure? The gentleman, I fear, has made that quite clear to the artist. 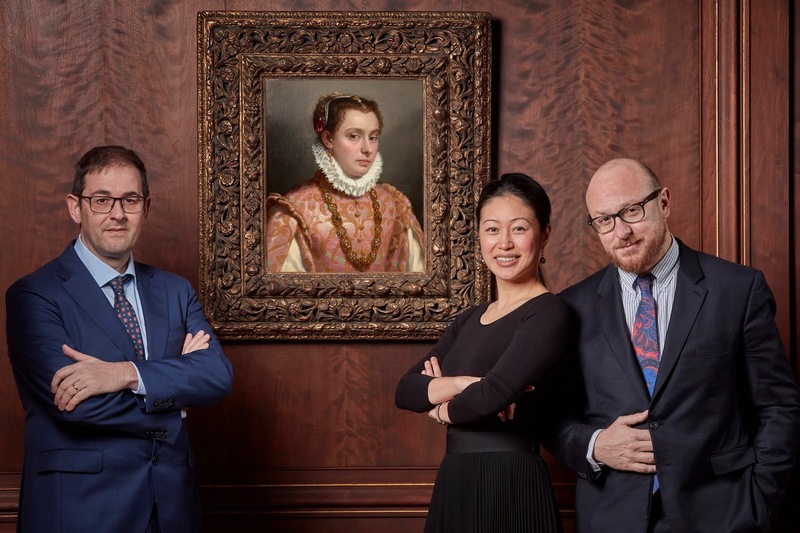 My Missives depend so often on the good offices of the Public Relations people at the institutions I write about in this case Heidi Rosenau, Associate Director of Media Relations & Marketing at the Frick. Among the installation shots from the show that she sent to me I discovered that she too had posed with the young woman on the invitation. 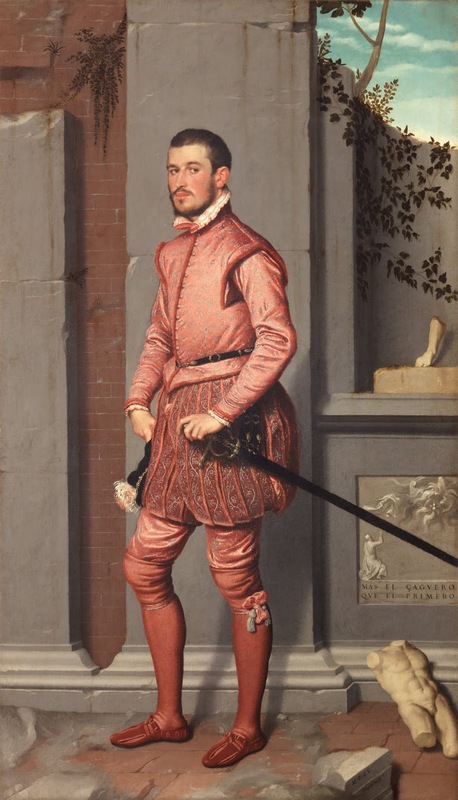 The Moroni show opened just last week and will close on June 2nd. Meanwhile, you have time to look and come up with your own thoughts on why the sitters appear as they do and what it says about the artist wanted to convey about them. On day eight of our trip we traveled from Malinalko to our last stop, Mexico City. Our bus took us directly to the home of Luis Ramiro Barragán (1902-1988) the renowned Mexican Modernist architect. Unfortunately, one had to take the guided tour, which so often defeats its own goals. We were fed the party line like, “the architect knew how to create wonderful corners.” Some rooms had reproductions of famous artists’ works which we were told were original to the house. It seemed strange for an architect who was successful at a time when works by artists such as Rouault were not that expensive. For reasons I cannot explain they put in special exhibitions. Only the curator would be able to explain the choices of these large and intrusive works by local artists inserted in the rooms. If the house had been kept clean without clutter as it must have meant to be one could have better appreciated the innovative architect who had built it. Mexicans have their main meal at lunch, so again we were taken to a well-known restaurant, for a pre-ordered multi-course menu. I guess some people travel to eat but these heavy lunches, for me, made the rest of the day more difficult as we did not take the traditional siesta. Instead we continued on our own to the museum built around the incredible Diego Rivera mural “Sunday in the Alameda Park”, where he depicted himself as a child surrounded by figures from Mexican history. We had seen before, but it was certainly worth another visit. Below another detail from the mural. We had also been to the Franz Mayer museum the year before but went with the group the next day. The masterpiece of this remarkable decorative arts collection is the great biombo (screen) showing the Conquest of Mexico by the Spanish on the recto and Mexico City (not shown) on the verso. On our second day in the capital we started out at the Cathedral with an additional guide who is one of the foremost historians in the field, Dr. Clara Bargellini. Unfortunately, there was a Mass, so we could not see the high altar or visit the sacristy. We had also seen these on our last trip, but I would have thought they would have known that it was open every day, for certain hours, only in the afternoon. The good news was that Dr. Bargellini and one of our group Donna Pierce Smith, scholar and long-time curator at the Denver Museum, took us instead to some churches we would not have otherwise seen. In Santo Domingo we got into the sacristy where there is a major work by Christóbal de Villalpando, an artist I wrote of in my last Missive. The extremely large painting is placed in such a small space to that I can only show you a detail. We went on to The Church of the Lady of the Pillar, an 18th century convent church, fascinating, in that the nuns had to worship behind screens. Here is an image of the Church interior with its main altar. Above the side altars you can see the screens that shielded the nuns from view. Our 10th day of the trip was occupied by an excursion to Xochimilco, a one-hour bus ride (1 ½ hours on the way back as Mexico City traffic makes L.A. seem empty). At the lake which is all that remains of the water that surrounded the Aztec city, we boarded a narrow barge propelled by a strong boatman steering from the rear. There was a table with guacamole, chips and other foods down the center of the boat. We were lead beyond the tourist area by an entrepreneurial farmer who is renewing the traditions on the islands formed for the agriculture that fed Mexico City. We debarked briefly to see some of his plantings. On the way back on the lake we passed a Mariachi band, past its prime, that wished to come along side to serenade us and be compensated for their labor, but we declined. 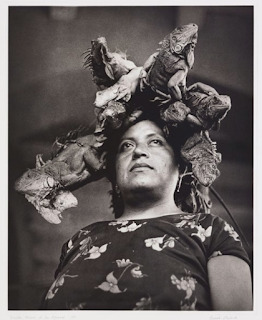 The next day after a visit to the National Museum of Art with the group we broke away to see an exhibition of the Mexican photographer, Graciela Iturbide (b. 1942) held on two floors of the Banamex Culture Palace. 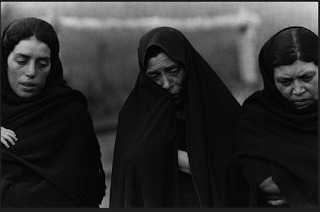 One of her teachers at university was Manuel Álvarez Bravo and she even traveled with him for a year. She is an unbelievably versatile artist. 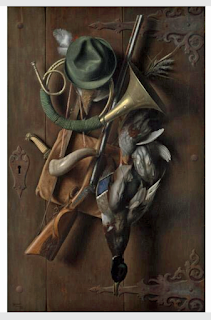 I think that her photographs of people are her strongest suit but her still life images also capture unexpected slices of life, like the string of dead pheasants tied to a bike leaning against a wall. When we returned home, we saw that “The Week” magazine had published as its Exhibit of the Week a “Graciela Iturbide’s Mexico” which is on view on at the Museum of Fine Arts in Boston. In its review The New York Times published her photo of “Our Lady of the Iguanas” which I am showing here, as well as my favorite photo depicting three women which was also in the Banamex show. The last stop on our culture tour of Mexico City was the famous National Museum of Anthropology. 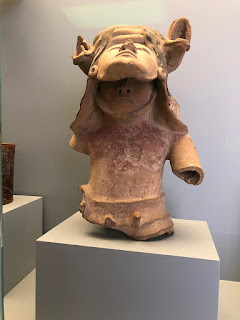 I had not been here before and was eager to go after our visit to the Amparo Museum’s Pre-Columbian collection in Puebla (which I wrote about last week). It is so large that I would advise several visits. The exhibits are divided into sections according to the cultures in different parts of the country and there are many monumental show stopping objects. A theme that seemed to be repeated in different periods was the Acrobat. The one illustrated is a vase from Tlatilco, Mexico from the period called Middle Preclassic (2500-250 BCE). Whatever you think of taking archeological objects from their original sites you have to be impressed with the material they have assembled under one roof in this museum. Let us just end on a farewell note with an evening view from the air. We have been on a quest for the last three years to learn more about Mexico. 2 years ago I wrote about the Yucatán and Chiapas. Last year it was an intensive on Frida Kahlo and Diego Rivera. This time we are off on a group tour to Puebla, Malinalco, and Mexico City. On this tour there is an Audiologist, a Neurologist, a neck and head Surgeon and an Oncologist. The latter, is clearly also a scholar of Pre-Columbian art. The rest of the scholarly side, includes a museum director, curator, tour organizer, and 2 retired curators with great art historical knowledge and then the rest of us! We were 24 in total. Traveling in a group on a bus requires a great deal of organization such as getting the right bags on the bus and to the rooms at the next destination. The image below is much of our luggage ready to go on our bus. 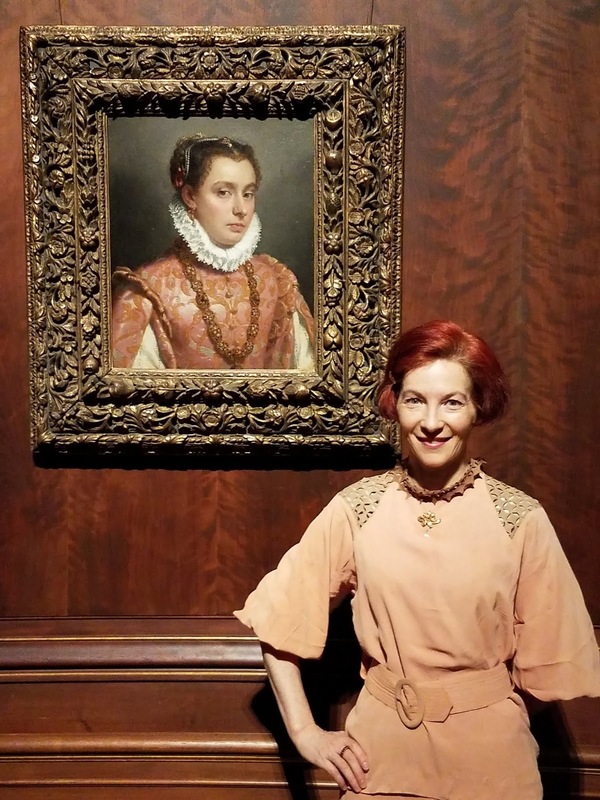 The organizer is Rosa Carlson of Journey’s International who has arranged trips for the Denver Art Museum and the Spanish Colonial Museum plus a number of other groups and individuals during the past 30 years. Our first stop was in Puebla, a surprisingly large city whose sprawl reminded me a bit of London but that is where the comparison ends. As is so often the case a major site was the incredible Cathedral in the center of town completed in 1649. They did not allow photography even though it is a major tourist site where there is an incredible hustle and bustle all day long. For me, the major attraction was the central cupola painted by Cristobal Villalpando (? – 1714). I could not resist taking a photo and the big light in the center is daylight. Across the street from the Cathedral was an amazing Historical Library dating from 1772. To my surprise scholars are still allowed to use the original old books and are not forced to use microfiche or the modern equivalent. Here is an image of the engraving plate possibly from the date of founding and it has not changed. Then my image today. The Baroque Museum in Puebla had a few serious pieces but much of it was pure propaganda including copies of famous sculptures from various museums around the world. The Governor who visited regularly made suggestions along the way with a serious interest in getting this town on the map. There was one very important exception. There was an exhibition of works by the above mentioned Villalpando, which in my estimation brought this experience from a C+ to an A+! Here are 2 of my favorites. “The Virgin of the Apocalypse and St. Michael, Archangel” and “The Deluge”. I hope these images can convey some of the innovation that this artist realized. On our bus tours it was incredible to see the live volcano belching smoke as we drove past. We understand that the people living close to it hear it as well. It does not sound relaxing to me! We visited some archeological sites but they were above my walking abilities, one that I am sorry I missed had these incredible murals. I did see some of the vivid reproductions in the on site museum and the originals were far more faded but here is one of the images that my wife took of the personage who chose those who would be sacrificed. I have seen pre-Columbian objects in museums before but never as many and as different as we did at the Museo Amparo, it was one of the first times I could get excited about this field and wanted to learn more. At the beginning of the installation was a large Mayan work dating from 600-900 A.D. It was a backrest for a throne with a sovereign, courtesan and a deity in the center. A sculpture which truly surprised me was a voluptuous woman, obviously a symbol of fertility, who, to accentuate the point, was anatomically correct under her skirt as well. You might have to enlarge the detail but the idea itself is quite amazing considering it was made over 2,000 years ago on the west coast of Mexico in Galisco. I am so in awe of this work that I cannot resist one more. A head with 2 faces which though it is quite different makes me think of the North West Coast Native American transformation masks. It is, however, the god of spring and therefore a young face (or two!) from the Gulf coast of Vera Cruz. Malinalko did not work out so well since the 16th century Augustinian Monastery with monochromatic frescoes done by indigenous artists was closed due to earthquake damage but they did open one doorway for us. The local museum was also closed because of a holiday but our leader phoned the director and managed to get them to open just for our group! Here an image of the monastery and part of one of the Frescos. From October 19, 1974 to January 5, 1975 something unheard-of occurred at the Metropolitan Museum in New York. Art dealers had an exhibition with works of art that were actually on the market … but nothing was for sale. The show was called “The Grand Gallery”. 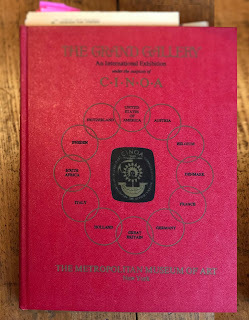 La Confédération Internationale des Négotiants en Oeuvres d’Art (the international Confederation of Dealers in Works of Art, C.I.N.O.A., for short consisted at that time of about 3,000 dealers from 12 countries represented by 15 art associations. C.I.N. O.A. had done exhibitions in museums before, such as the Victoria & Albert Museum in London and the Musée des Arts Decoratifs in Paris and the Americans wanted one closer to home. It is a long story but, in the end, by instruction from the director of the Museum, Thomas Hoving, I became the sole representative of the art dealers and Penelope Hunter, who would eventually become my wife, became the representative for the Metropolitan. She had to take each work of art submitted by the individual dealers to the curator in charge of that area to have it vetted for authenticity. Obviously, the dealers wanted to put their best foot forward and I do not remember anything in the end being rejected. Still there was criticism of having dealers exhibit at the museum and it was assumed the works exhibited were not of museum quality. In order to cover their bets the Met inserted a small exhibition of works acquired through the gallery of the late Ernest and Joseph Brummer. We joked that they were saying “Tthe only good dealer is a dead dealer”. During the last four plus decades I have seen more and more of the works of art in The Grand Gallery exhibition acquired by museums and I thought it would be fun to research some of these pieces. I will start with a work of art that ended up in the permanent collection at the Met. 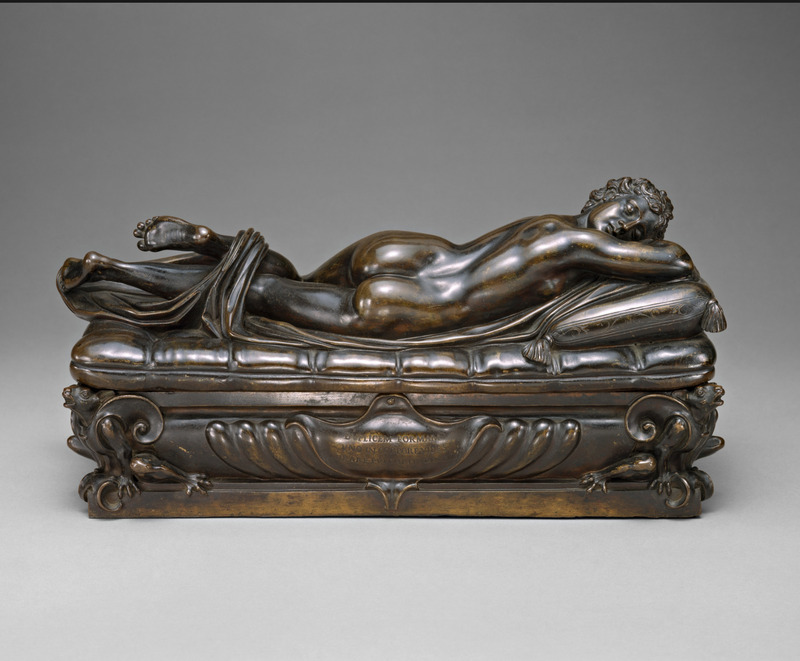 It is a bronze by the Renaissance artist Giovanni Francesco Susini. His Sleeping Hermaphrodite dated 1639 was presented in The Grand Gallery by the London dealer, William Redford. He sold it to the philanthropist Claus von Bulow who gave it, together with his wife, to the Met in 1977. 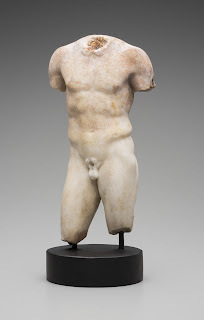 I wonder if the Met curator of European sculpture had her eye on it when it was exhibited in the C.I.N.O.A. show. I am proud to say that the three works of art submitted to the exhibition by my gallery, Rosenberg & Stiebel, have all ended up in museums. I will just mention one here. It is a Astronomical Longcase clock with a armillary sphere on top. It was attributed to the master cabinet maker Jean-Pierre Latz and was created circa 1745. The provenance of Baron Gustave de Rothschild is a nice touch as well. Though it did not have all its original works as serious clock collectors want, this was purchased from us for the cabinetry and gilt bronzes of its case by the J. Paul Getty Museum. 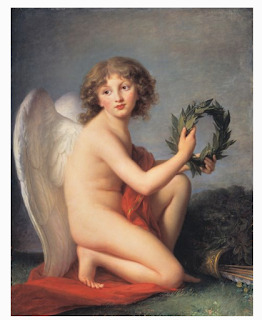 One of the foremost French artists from the end of the eighteenth century is Marie Louise Elizabeth Vigée-Lebrun. Galerie Heim in Paris lent her Portrait of Prince Henry Lubomirski as a Genius of Fame, 1789. As art history progresses it is now known as , “Prince Henryk Lubomirski as Love of Glory”. When it was exhibited again at the Met in a monographic show of the artist, “The Grand Gallery” had been dropped from its exhibition history, conveniently forgotten in the prejudice against art dealers. 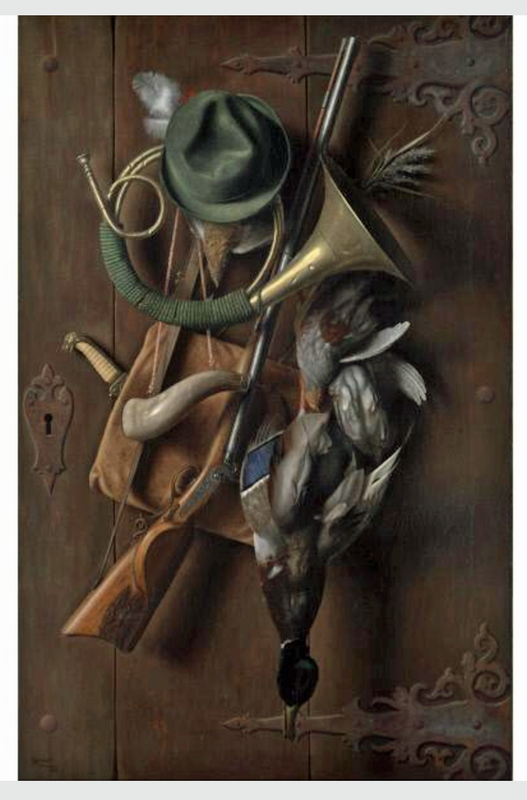 Hirschl & Adler, dealers well known for their American historical art lent a wonderful still-life called “After the Hunt”. It is signed WM Harnett Munchen, 1883. Harnett was born in Ireland in 1848 but his parents soon moved to the States and he became a U.S. citizen in 1868. From 1881 until early 1885 he lived in Munich where he painted this still life. After having passed through private collection(s) it has found its way into the Huntington Library in Pasadena. I am going to end with a painting that has not gone to a museum. 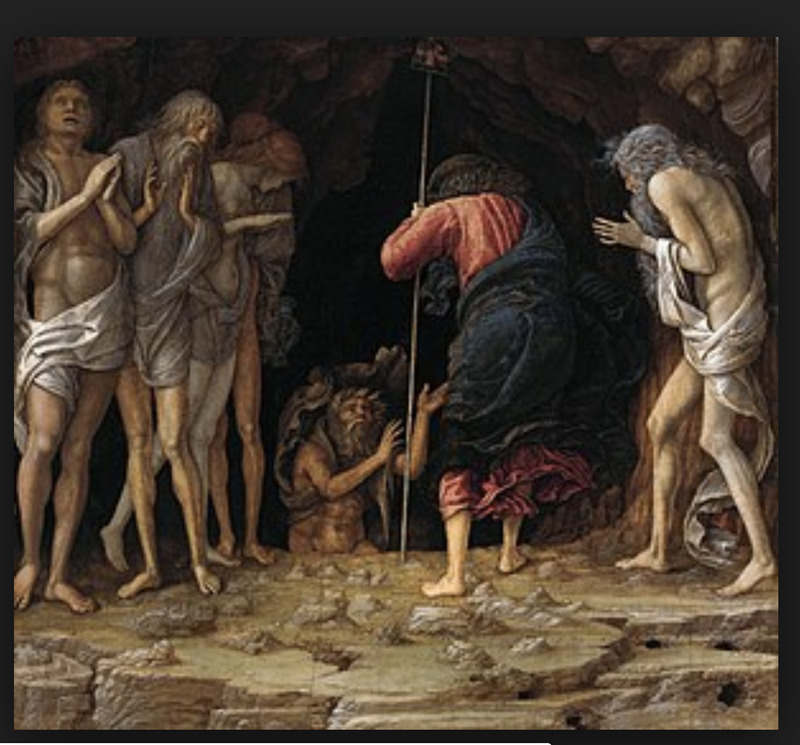 Andrea Mantegna’s “Christ’s Descent into Limbo” from 1492. 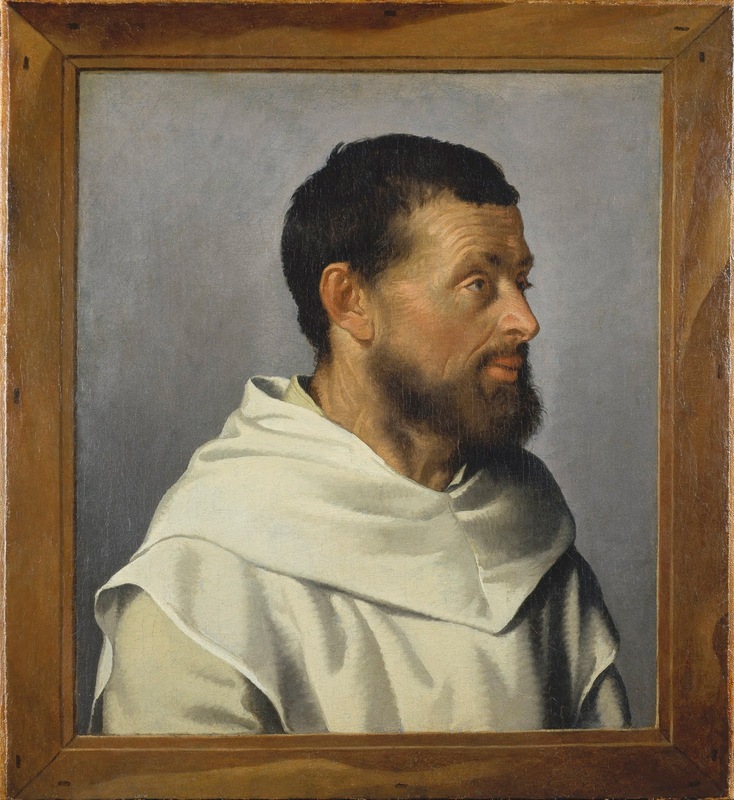 When this painting arrived in this country for the exhibition from the firm of P.& D. Colnaghi of London, it was quite the sensation since it had a declared value of over one million dollars. In 1974 this was a very high value particularly for a work that was actually on the market. Later it went into the private collection of Barbara Piasecka Johnson, who was from Poland where she had studied art history and then married Seward Johnson one of the founders of Johnson & Johnson. She lent the Mantegna to the Frick Collection from 2000 to 2002 with the hope that they would buy it. When they did not, it was put up for auction in London where it brought £17,600 million over 28 million dollars, going to an unidentified purchaser.. There had been speculation that the painting had been cut down and just last year the curator Giovanni Valagussa from the Accademia Carrara in Bergamo, Italy discovered that a painting formerly attributed to the school of Mantegna was the missing part. The two were recently shown together at the National Gallery, London. There were over 300 works of art in “The Grand Gallery” in many media from Europe, America, China and Africa . It would be fun to trace more of them and maybe I will. For now, the catalog is still available on line for those who wish to do their own sleuthing.